After lunch at Brasserie 360, Jen and I continued to shop for a few more hours until our tipsy bubbly feeling turned into a headache/hangover. We had one of two options: (1) find advil and get on the next train home, or (2) keep on drinking. Obviously, being 21-year-olds we chose the latter option and posted up at the bar at Rue 57. I wanted a fun drink, but nothing on the drink menu was enticing me so I asked the bar tender to make me her specialty. 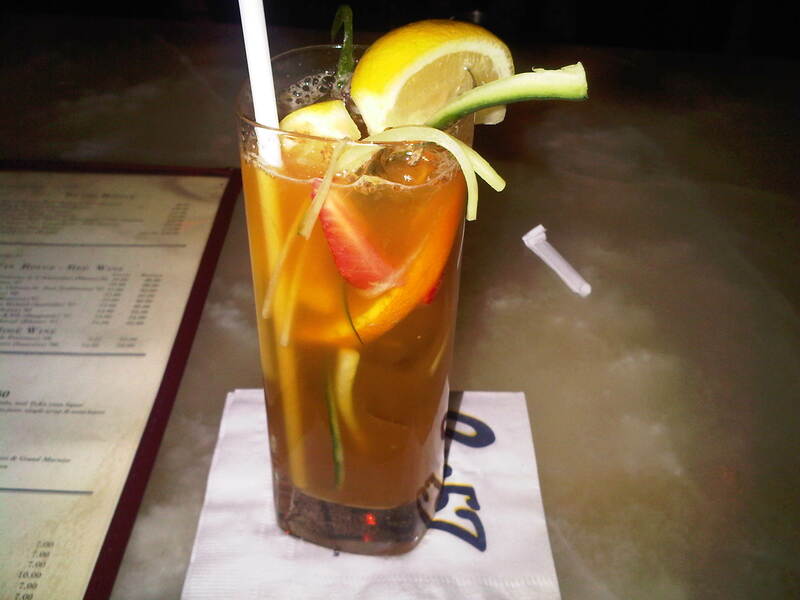 She whipped up one of the greatest and freshest Pims Cups that I have ever tasted. The citrus from the fruit and the earthiness of the herbs was incredible. I would go back to Rue 57 for this drink alone. After 3 of these, Jen and I were ready to eat….again! Alcohol is just a vicious cycle of eating and drinking. So we walked, or stumbled shall I say, out of Rue 57 until we came across an Italian restaurant called Pazza Notte. 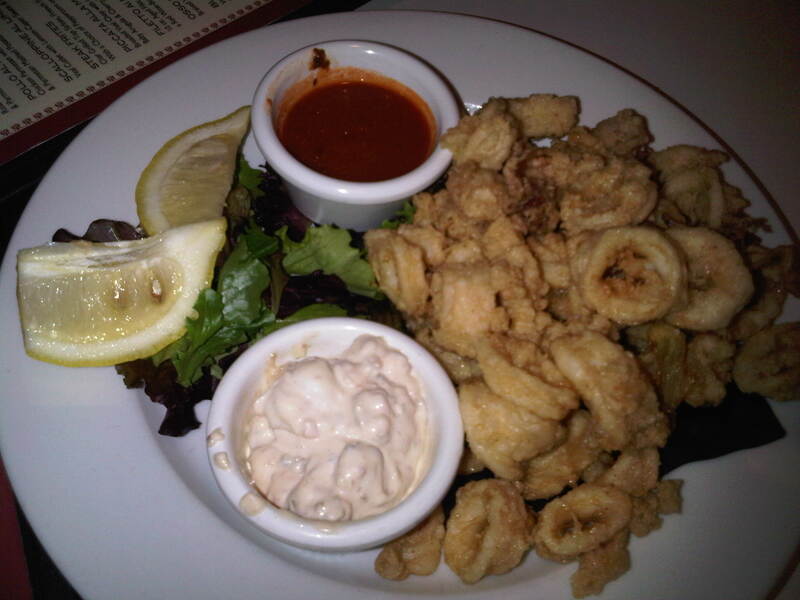 To start, we ordered an appetizer of Fried Calamari with Marinara Sauce. It was delicious, as you expect any fried food to be! The marinara sauce was exceptionally good and a little spicy! They also brought out another sauce that was cream or mayo-based, which had a nice spice to it as well. 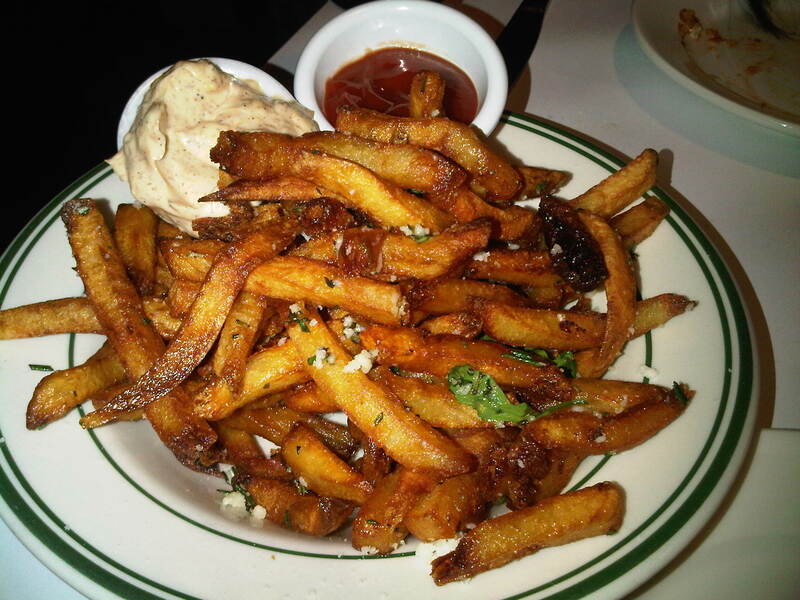 We also ordered a side of Truffle Herb Parmesan Fries, which were out of this world good! They were served with ketchup and another mayo-based Cajun flavored dipping sauce. For my main dish, I ordered the Risotto Di Funghi, which is wild mushroom risotto with white truffle oil and parmesan cheese. This dish is noted as the “owner’s favorite” and it sounds divine, but I was very disappointed. I found that the risotto was too mushy and entirely too oily. It actually made my mouth feel dirty after the first bite, and so I sent it back and continued snacking on the truffle fries instead! 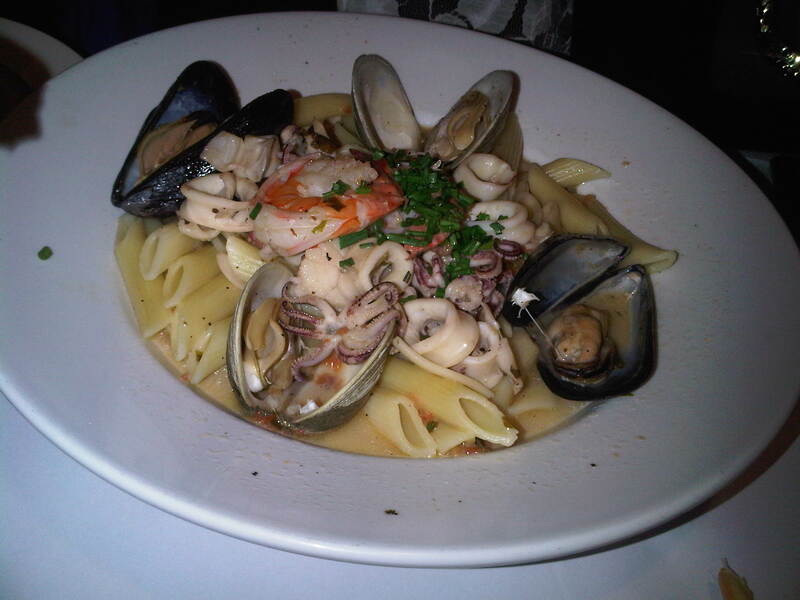 Jennifer ordered her usual Linguini Al Frutti Di Mare, which is shrimp, mussels, calamari, scallops, and clams in a white sauce served over freshly-made pasta (photographed at top). She thought it was amazing and had no complaints, although I did not try the dish myself. 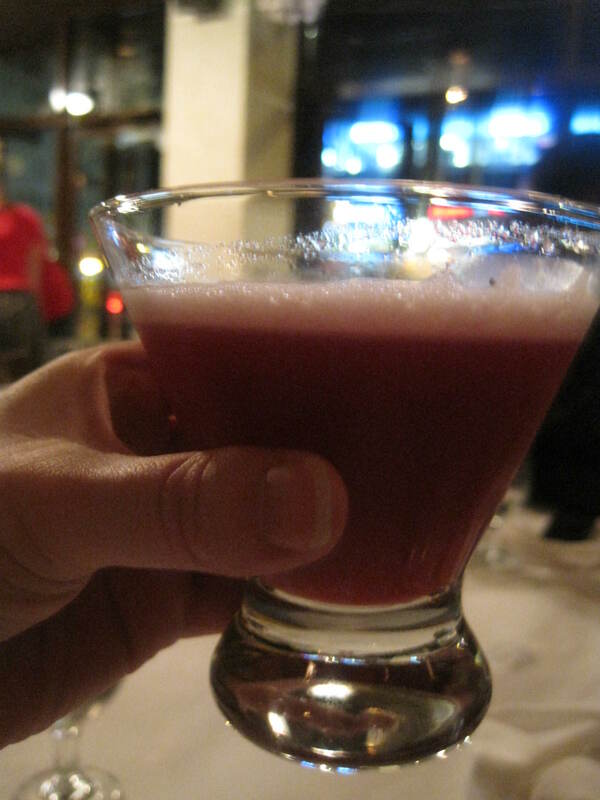 The one redeeming factor for Pazza Notte was the drink special—two for one martinis! Jen and I chose to sip on the Blood Orange Maritinis for the remainder of the evening and they were delicious! However, I am a foodie and not an alcoholic, so I probably won’t be going back to Pazza Notte anytime soon. I can get drinks at a bar—I expect good food at a restaurant.